Starting Monday, April 22, 2019, the location of student drop off will change for some bus routes. 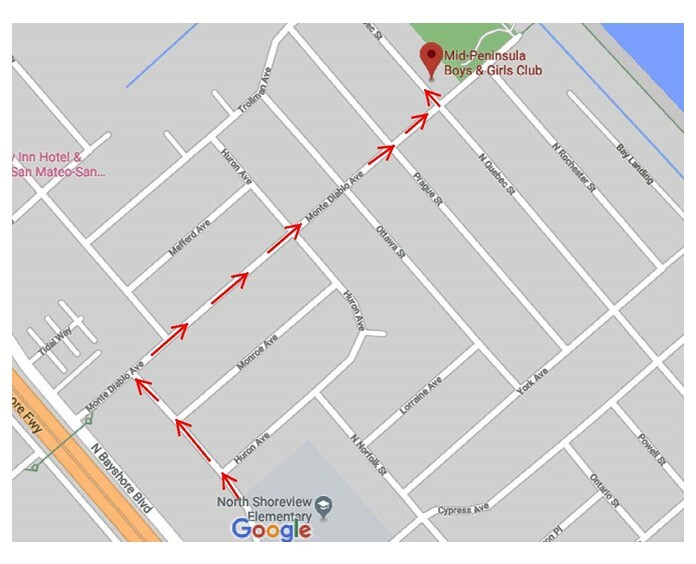 Instead of North Shoreview Elementary School as the drop off location, the new drop off location will be at the Mid –Peninsula Boys and Girls Club located at 200 North Quebec Street, in San Mateo. This will be for the Monday, Tuesday, Thursday and Friday drop off only.